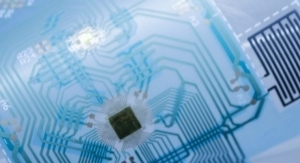 Applied Ventures Increases Investment In Korea - The Independent Global Source for the Flexible and Printed Electronics Industry. Applied Materials, KVIC establish fund targeting Korean technology startups. Applied Ventures, LLC, the venture capital arm of Applied Materials, Inc., announced it is accelerating innovation in Korea’s technology industry by forming an investment fund with the Korea Venture Investment Corporation (KVIC). The goal of the Applied Ventures Innovation Fund is to invest in promising Korean startups across a broad range of established and emerging industries including semiconductor, display, robotics, healthcare, energy storage and more. The Applied Ventures Innovation Fund I, L.P. will be managed by Applied Ventures. Korea currently accounts for the highest number of Applied Ventures’ investments outside of the US. “Korea’s outstanding talent, R&D intensity and manufacturing capability provide a fertile ground for startups,” added Tony Chao, GM and senior investment director of Applied Ventures.